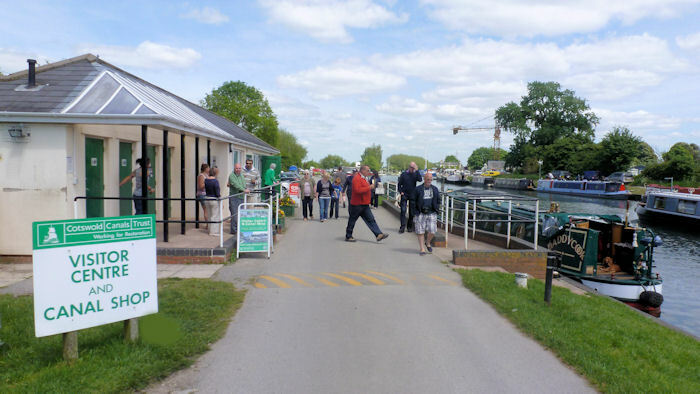 The Cotswold Canals Trust (CCT) Visitor Centre at Saul Junction is the most recent 'key location' chosen by The Canal & River Trust (CRT) to establish a CRT Visitor Welcome Station. A new volunteers recruitment drive will make this a seven days a week centre for information about this unique waterways crossroads. CRT & CCT representatives will be at Saul Visitor Centre from 10am until 4pm on Friday 28th March. Why not pop in for a chat and a tea or coffee? This is an opportunity to be the ‘face’ of the Canal & River Trust, playing a key role in the enjoyment of the visitor experience and ensuring visitors leave with a greater understanding and affinity to the waterways. It will involve being on hand to talk to visitors, increasing their understanding of the displays and enlightening them to the work that the Canal & River Trust carries out. It will also involve giving out information on the local waterway and surrounding area. We are not looking for people who are experts in the nation’s waterways but we are looking for people who are friendly and approachable and know who to ask if they don’t know the immediate answer. This is an opportunity to volunteer in a unique location and meet new people. If you have a passion and interest in the waterways, you can share it with others or if you enjoy pointing people towards the local pub, post office or paper shop, you will no doubt be able to do this as well. It is very satisfying at the end of the conversation when people leave with a smile of ‘thanks’. This role could work well for couples or friends to work together. The ability to communicate effectively with people is imperative, to gauge the right level of information they’re looking for and to supply it in an efficient and friendly manner. The role will involve opening and securing the building, answering visitor's questions, sales of books maps and gifts as well as keeping the Centre's display clean and presentable. We look forward to seeing you at Saul on Friday. Click here to learn more about the Visitor Centre and to get directions. If you cannot make it on Friday give Shaun Brown a call on 07801 321 620. Click here or on the poster to print your own copy. Click here or the Visitor Centre picture to view a larger version.